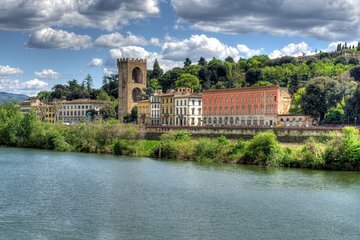 Explore two of Florence's lesser-known antiquarian houses on this 3-hour private tour to the homes of Rodolfo Siviero and Stefano Bardini. Learn about their life stories and the history of their homes and art collections from your dedicated guide. Entrance fees included. Meet your private guide at Casa Rodolfo Siviero in Florence, where you will start your private tour. As you explore the home with your dedicated guide, learn about the important character of Rodolfo Siviero, who managed to salvage many important works of art during and after WWII. See the variety of works that adorn his house, including the impressive library where he hid many works stolen from local galleries. The Blue Bardini Gallery was owned by Stefano Bardini, who was famous for his role in the Middle Ages and Renaissance arts trade. View important works such as the Diavolino Giambologna and 'Piglet' by Pietro Tacca. This private tour is operated with just you and your party, which gives you personalized attention from your guide and ample opportunity to ask questions.